Dumplings might differ dramatically in appearance and flavour around the world, but their fundamental make up remains the same: dumplings are small pieces of dough, with additional ingredients (such as meat, fruit, herbs or spices) found either in the centre of the dumpling or incorporated into the dough itself. It's difficult not to feel slightly comforted at the thought of dumplings, with even the word – almost onomatopoeic in nature – holding connotations of plump softness and warmth. Indeed, on chilly nights there can be few things better than whipping up a batch of dumplings ready to be dipped in a sauce or thrown into broth, soup or stew. Whether your preference lies with steamed buns or suet, this collection of dumpling recipes contains plenty ideas for every variety. Next weekend resist those takeaway urges and make your own dim sum platter at home by combining several Chinese dumpling recipes together in one big delicious feast. Nisha Thomas shares a recipe for classic Pork and chive dumplings, while Nancy Harbord's Spicy mushroom vegetarian dumplings are a fantastic meat-free alternative. 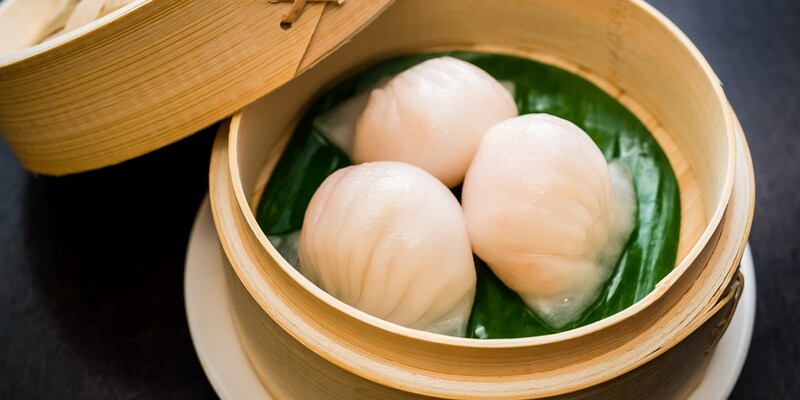 Bring some Michelin quality Chinese cuisine into your home with Tong Chee Hwee's Har gau recipe, a seafood dumpling found on the menu at Yauatcha and Hakkasan restaurants. If you're still craving a doughy dessert try Graham Hornigold's glorious chocolate dessert recipe, a trio of chocolate dumplings served with yuzu and ginger infusion. There are plenty of suet dumpling recipes to be found, too, if you prefer the classic British approach to dumpling making. Dominic Chapman simmers suet dumplings in rich, meaty stock in his Beef stew recipe, while Karen Burns-Booth makes her dumplings with a fragrant blend of herbs to serve atop her Sausage and apple casserole. It's not just meaty dishes which benefit from the addition of dumplings – Monica Shaw adds heartiness to her Tomato and basil soup recipe by adding cheddar cheese dumplings before serving.